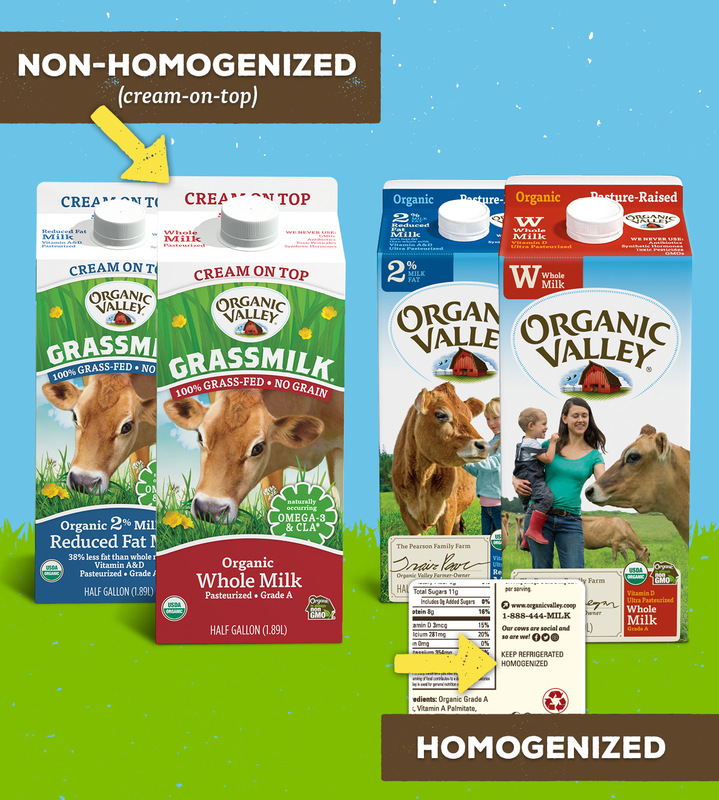 What’s the difference between homogenized and non-homogenized (or “cream-on-top”) milk? It’s all about fat breakdown. Glass of milk with cream on top. Fat molecules in milk are very sociable. They want to get together. When they do that, they form a luscious layer of cream that rises to the top of a container of milk. You can break up the molecular party by stirring them back into the underlying skim milk. That kind of separation in milk used to freak folks out, especially if they didn’t grow up on a dairy farm. To them, it looked like something was wrong with the milk, like it had curdled, but it’s not the same thing. Risen cream looks smooth on top. 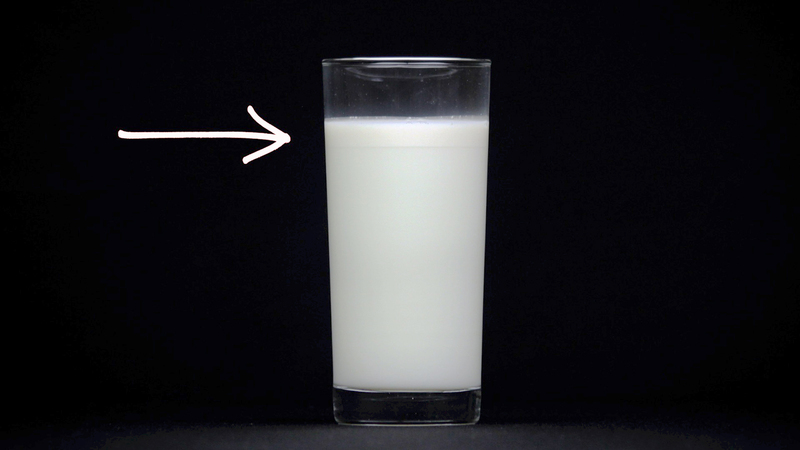 This infographic illustrates how homogenization splits up fat molecules so that they are suspended in the milk and will no longer rise to the top. In the 1920s, milk processors figured out a way to stop that separation from happening. It’s called “homogenization” (from the word “homogenous,”’ as in making everything the same). It may be a long word, but it’s a surprisingly simple process. They discovered you can blend the fat into the milk in mere minutes with a machine. When milk is homogenized, it’s heated, agitated, and passed through a membrane at high-pressure. This process makes the fat particles so teensy that they stay suspended in the milk and no longer rise to the top. Ergo, homogeneity. Best of all, since homogenization is a purely mechanical process (no chemicals or additives involved), it doesn’t change any of the milk’s natural goodness. Nutrition? Same. Calories? Same. Organic Valley non-homogenized milk says “cream-on-top” on the front and top of the carton, and our homogenized milk says “homogenized” on the nutrition side panel. If you prefer that old-timey, straight-off-the-farm kind of milk, then you’ll want to look for “non-homogenized” or “cream-on-top” on your milk cartons. You can do all kinds of stuff with cream-on-top milk, like dip out a spoonful of the thick, separated cream at the top of the container and spread it on fresh strawberries (Nirvana! ), or smear it over toast with a touch of jam. The thing is, we have choices here, folks. There’s something for everyone when it comes to milk!